"PROGRESSO folks sent me this, after I tweeted I liked their light soups. They're tasty." Progresso also swapped their "SS's" in their name for the classic KISS lightning "SS's". 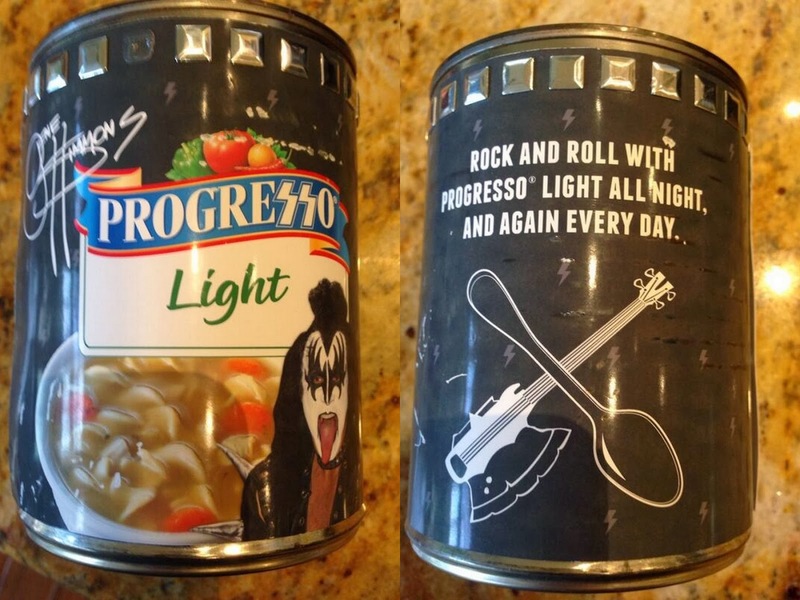 On the back of the can is the phrase: " Rock And Roll With Progresso Light All Night, And Again Every Day."